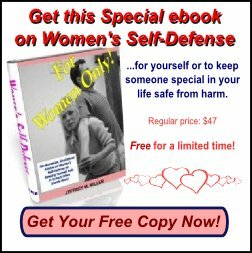 Self-Defense: 3 Keys to Success! (C) Warrior Concepts Int'l, Inc. When you think about self-defense situations, what are the top three considerations for being effective? Is it having strength, stamina, power, or a ton of way-cool, tricky, martial arts techniques? While all of those things help to one extent or another, none of them really touches on the priorities that will help you to prevail in a life or death, self-defense, struggle. Don't get me wrong. It certainly helps to be the bigger, faster, stronger, or more skilled combatant. But these things are only helpful if you're in a situation where they will serve you. Let me explain it a different way. ... power is derived from size and motion. If an assailant jumps you and pins you to a wall or the floor, you will find it difficult to generate any sort of power as we normally think of it. As for knowing a lot of techniques, what can I say? Information is power, right? ...your attacker is a better, more skilled, more experienced fighter? 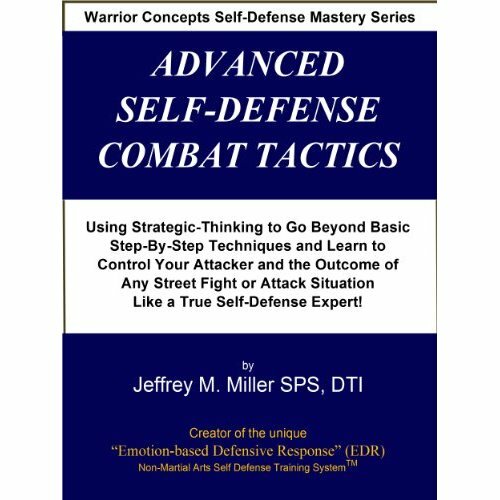 I've written extensively about what I call, "The 6 Phases of an Effective Self-Defense Strategy." 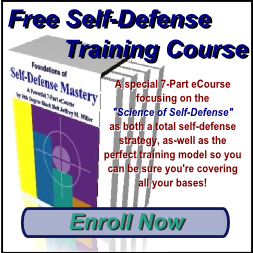 This is designed to lead my students through just that, the phases that a self-defense situation can go through, and how to make sure that we have sufficient training to be able to operate effectively in each phase, or stage, of an attack. Admittedly though, the 6 phases are the ideal - the best case we can hope for. They all function as they should when you have warning from your assailant and you can see things coming. Often though, attacks happen with little or no warning at all. So, how do we trim even more off the top and come up with the minimum elements necessary to be able to come out of a situation with as little wear-and-tear as possible? This is just a quick outline for our discussion here. 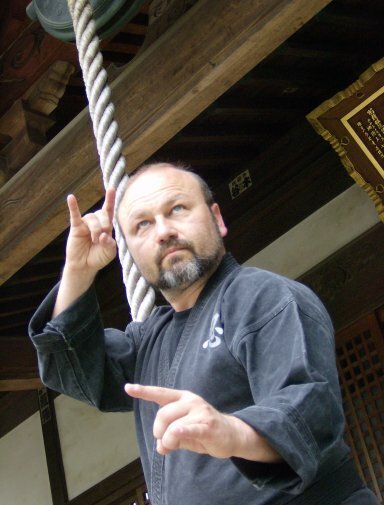 If you aren't familiar with the "6 Phases For Effective Self-Defense," you can learn about them in "The Karate-Myth." 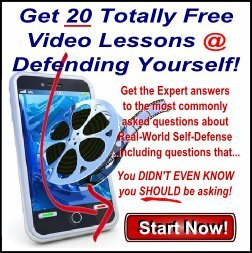 It's a great resource for understanding the "science of self-defense" and how to make protecting yourself as easy as possible. 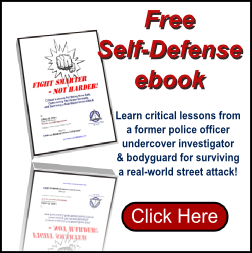 And, of course, it's loaded with some really great and easy-to-learn techniques for stopping an attacker and putting him where he belongs... on the GROUND! Click the link to read more about "The Karate-Myth" and the valuable bonus reports that go with it. When the attack comes with little-to-no warning. When it comes at us quickly and ferociously and we don't have the time for escape, let alone trying to distract or talk our assailant down, we need just the basic-basics. 1) Situational Awareness - Pay attention to what's going on around you. Actively look at people, instead of avoiding contact as is the case in most social situations. 2) Stay Focused - You could also call this step "Controlling Your Fear." If you notice someone or something that could be a threat - perhaps someone who looks angry or suspicious, keep your eye on them. You don't have to stare-and-glare, but you should be aware of them and what they're doing. I talk about this concept quite a bit in my video, < B>. This also extends to the actual attack. Stay as calm as possible so that you can watch what's happening. For many people, their reaction is to close their eyes and "hope for the best." I didn't say this was easy, just what you MUST do to be successful. A) Neutralize the effects of what they're doing. Cover your targets or ride-off the blows that are landing. C) Take whatever targets open up. If he leaves his throat open and your can hit it - hit it! If you can kick his groin, kick his groin. Whatever presents itself, take THAT thing! And keep taking targets until he's down and out or help arrives. Sounds simple, I know. But that's what training and a good teacher is for - to help you to do the tough things like controlling your fear, focusing under pressure, and teaching you the most effective ways to hit certain targets. ...you must pay attention, stay focused, and do what works! This article is copyright (C)by Jeffrey M. Miller and Warrior Concepts International, Inc. It is free to use in it's original form, with no alterations or additions. If it to be used online, all links must be active and without the use of "no-follow" type coding which would prevent the reader from accessing the resources being referenced.